Grab your agenda and block week 24 now! 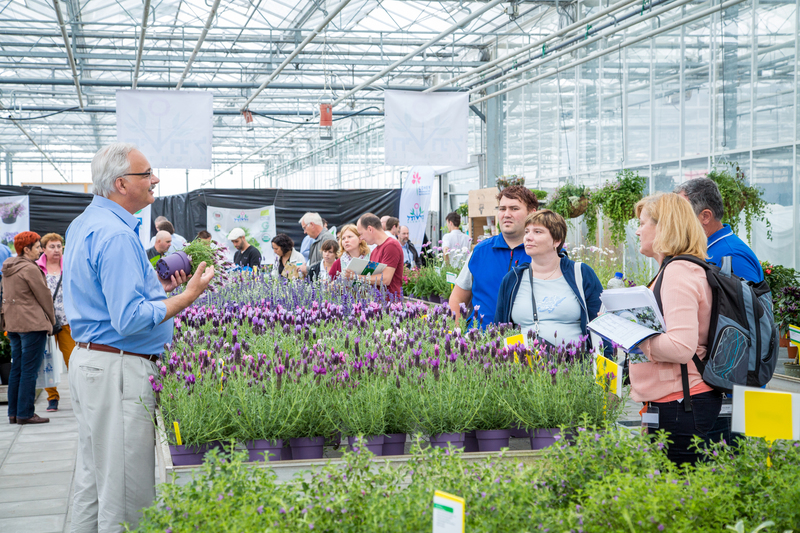 From 13 to 16 June, no less than 59 breeding companies in the Westland (NL), Aalsmeer (NL) and Rheinland Westfalen (DE) area will open the doors to show their latest assortment in pot and bedding plants to growers, exporters and buyers from across the world. Promotion for the 2017 edition kicks off strongly with a completely refreshed look. The brand new slogan ‘where plants meet people’ is paired with an advertising image of a young woman carrying a tray of plants. Seven breeding companies have been added to the list of official exhibitors under the FlowerTrials flag for 2017 and their varieties and locations will be included in the FlowerTrials’ promotional activities. Acceptance of new participants takes place via a democratic vote by all current members during the Annual Meeting to ensure that all exhibitors fit the FlowerTrials formula and thus add value for the visitors. In the Westland area, family business Hendriks Young Plants – breeder of Bella Fuchsia - will open its doors to show its assortment of Fuchsia, Pelargonium and Argyranthemum. Green Works, specialist in peonies and ranunculus, supplies young plants to pot plants growers and will also display its varieties at Hendriks Young Plants. Varinova concentrates on plant breeding and seed production of F1 Cyclamen and will exhibit at Green 05. The German agent Cultivaris represents breeders in bedding/Mediterranean plants as well as perennials to the global pot and bedding plant industry. Dalina Genetics, originating from Denmark, specialises in Dahlia, Osteospermum, Gentiana and patio vegetables such as tomato and sweet pepper. Both companies will join the MNP Flowers location (Moerheim) in Aalsmeer. De Zonnebloem Jonge Planten, breeder and propagator of terrace plants such as Hibiscus, Mandevilla and Solanum, will show its assortment at its own location in De Kwakel. Finally, Ebbing-Lohaus, seed and young plant producer specialising in primula acaulis, will meet visitors at the Westhoff location in Rheinland Westfalen.